HF: Stephen Davies’ article, Ulderup and Schlüter Shipyard, Sham Shui Po c1900-1914, mentions that the shipyard became the local agents for the Swedish Bolinder marine diesels (Bolinder Rohölmotoren – strictly semi-diesels) – two strokes that for the first two decades of the 20th century were probably the world’s most common small marine diesels although most of their early output seems to have been small steam launches. The website Oldengine.org was started in June 1997 and hosts discussions about older engines. Here is the initial couple of paragraphs of what the site says about the Bolinder company…. Bolinder started with oil engines in about 1894, manufacturing four-stroke engines, but the change was made to two-stroke operation early on, and thereafter was to be exclusively used by the company. The early model ‘E’ engines used water injection or drip at high powers, to prevent overheating of the bulb in the cylinder head. By 1918, over 600,000 bhp had been sold in various engine types and configurations, making Bolinder one of the leading engine makers in Europe, although its location in Sweden restricted its export potential. The production sizes were: 5hp to 80hp in single cylinder, 10hp to 160hp in twins, and 80hp to 320hp in four-cylinder engines. This large range was later restricted to only up to 80hp in the twin cylinder versions, the larger fours being discontinued as the main market for Bolinder was in fishing vessels etc. 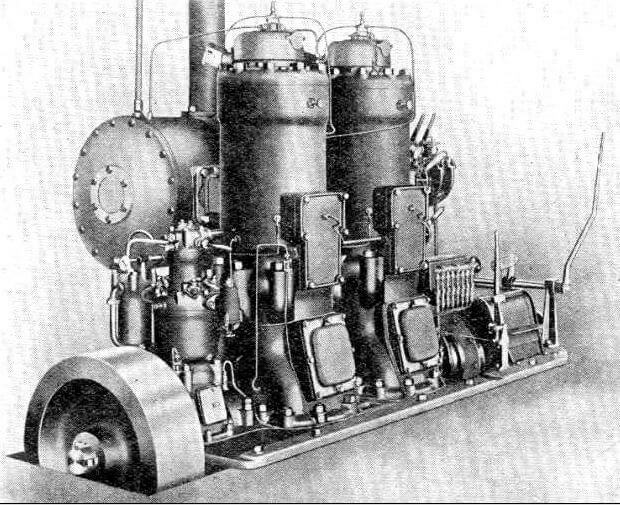 Higher powers were catered for by the later ranges of ‘M’ engines. This article was first posted on 11th December 2015. We are owner of å ship (car ferry) built in 1921 with a Bolinder 2 stroke semi diesel 96 HP built 1914 -1916. We are looking for a engine topp. Can you show size and photo of the part you are looking for. I have two heads for bolinders engine but do not know what engine the are for. I also have a bolinder 20 up, 1915 and need a fuel pump in any condition.